This is a die-cut Goblin Orangeade porcelain sign. This particular Goblin Orangeade sign is predominantly white with red and black text. 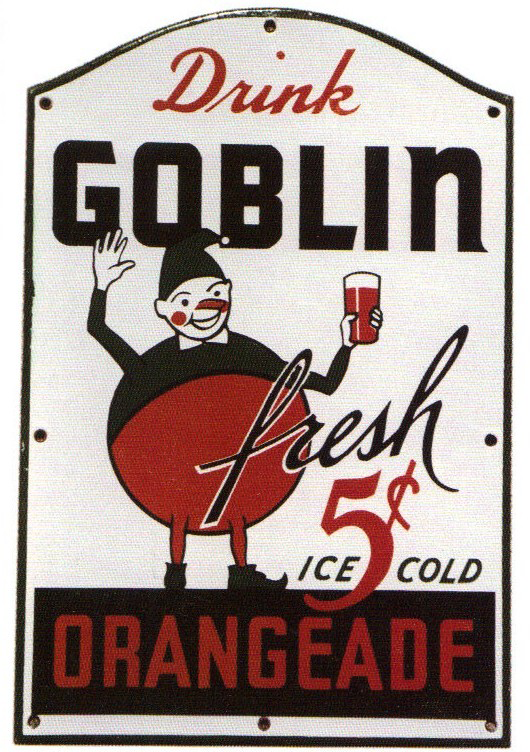 It reads, “Drink Goblin Orangeade, Ice Cold 5 Cents” and features a round goblin enjoying a glass of Goblin Orangeade.